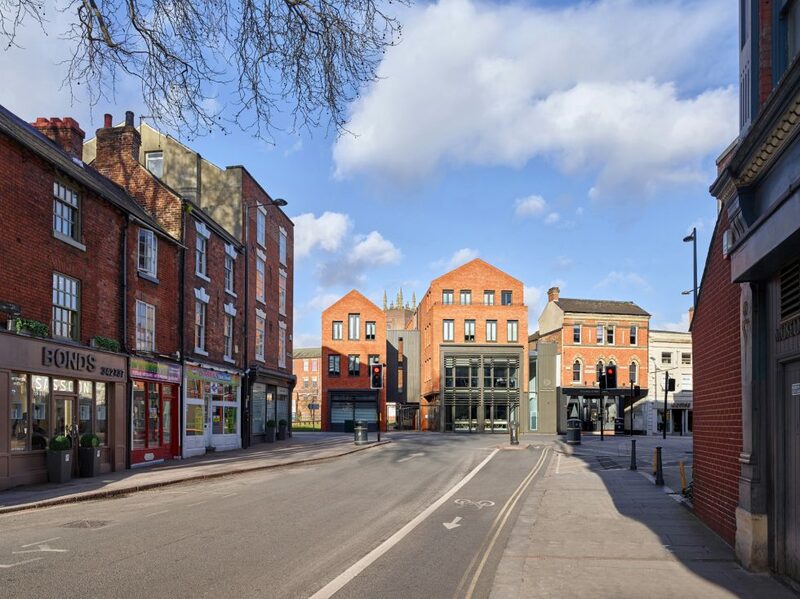 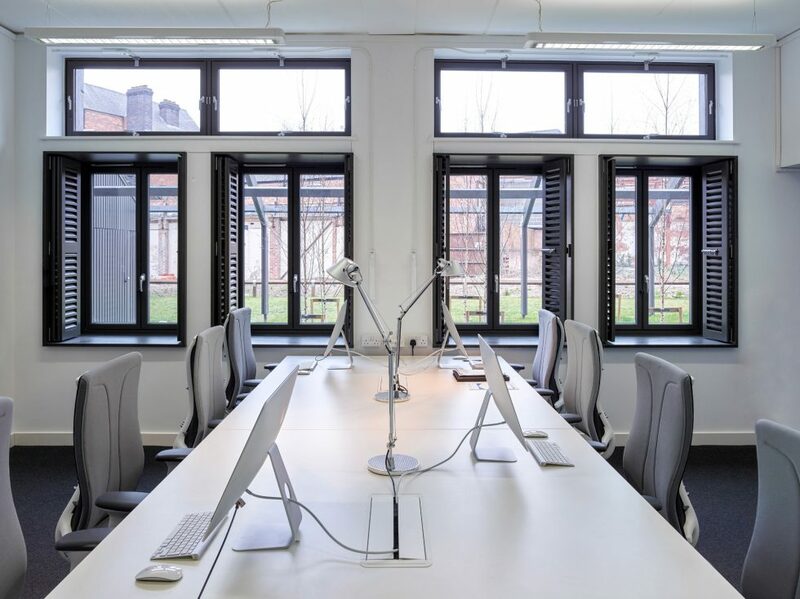 Derby City Council are increasing their network of managed workspace for start-up businesses, and appointed BLA to deliver 40 studios as the first phase of the Sadler Square Regeneration project in Cathedral Quarter. 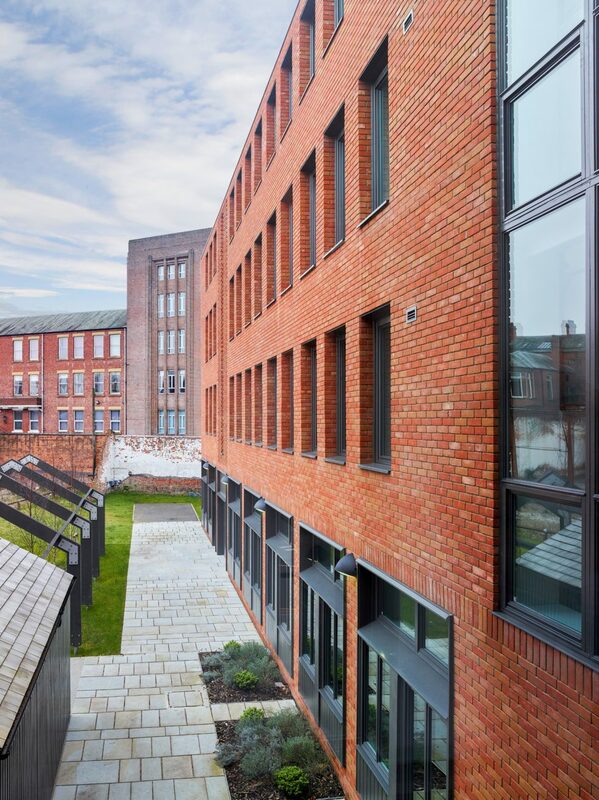 Within sight of the Cathedral spire and at the junction of a busy artisan and cafe district in Derby, the new building provides flexible office space for tenants in the digital business sector. 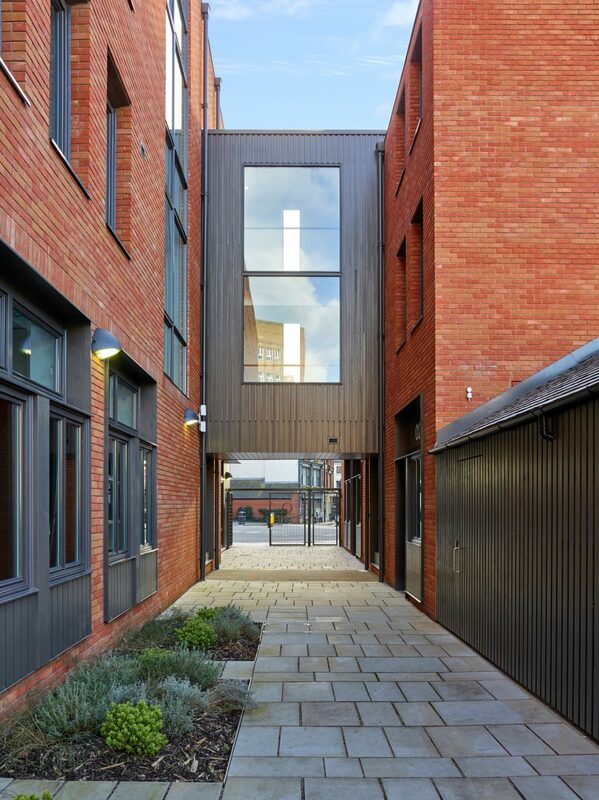 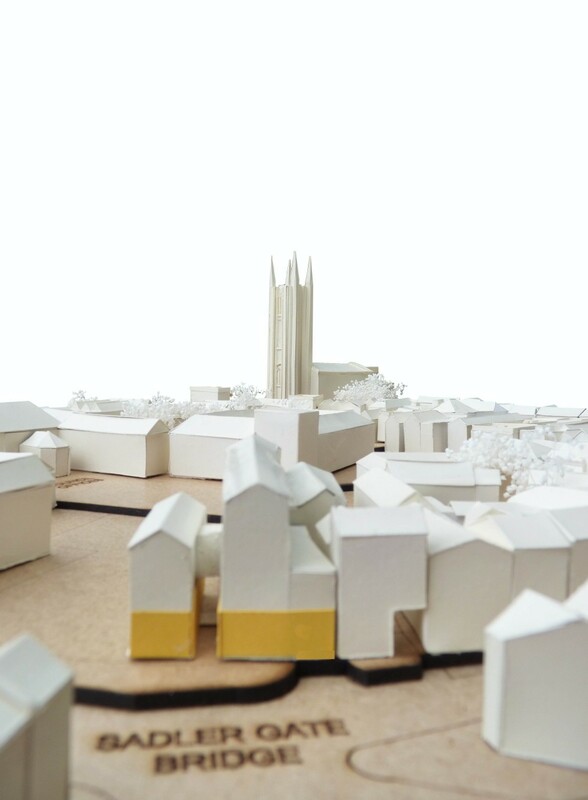 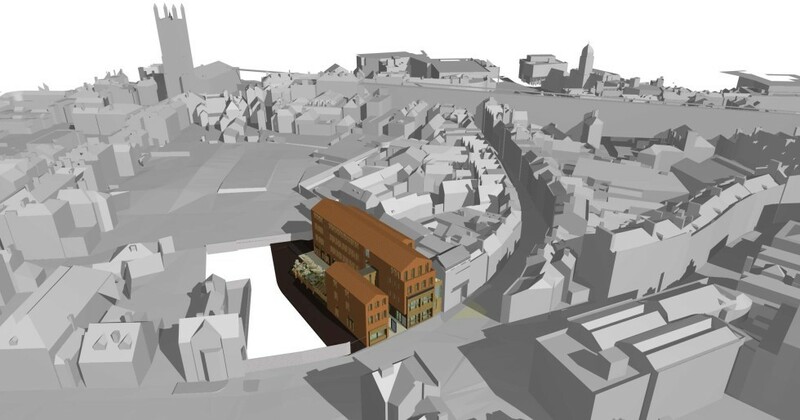 We worked with the Building Manager to optimise building function & layout with passive low-energy design, and with local stakeholders to continue the rich local streetscape. 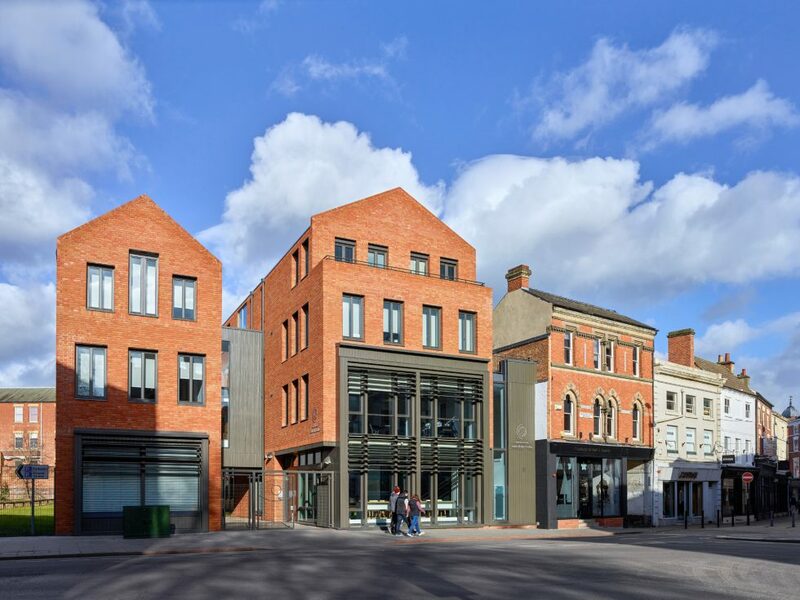 The completed building forms a pedestrian gateway to the future Sadler Square, and heralds the arrival of new and exciting development of this City Centre site.